I made a lot of money with PPC for my real estate business back then, especially while I waited for my SEO efforts to kick in. For every $1,000 I spent, I made $10,000 in revenue. Then, in 2005, I stopped online advertising completely. That was right before the beginning of Copyblogger, and the incredible run of using the emerging social media to get massive traffic, which lead to links, which lead to steady search traffic. Fast forward to 2017, and social media has become pay-to-play, and we’re right back to having to understand how to spend money to make money with online advertising. So it makes sense to consult with a guy who I was learning from way back in the day — Perry Marshall. Tune in to hear how to make Google and Facebook advertising work for your business. And don’t miss the digression we go on into Bitcoin and blockchain technology, which resembles the opportunities that the early Internet presented. Is Facebook Advertising Right for Me? Perry Marshall: This is Perry Marshall. I am author of numerous marketing books and science books and do lots of consulting and teaching of all kinds of woolly wolverine entrepreneurs. And I am very much unemployable. Brian Clark: Back when the Internet was young and dinosaurs roamed the earth, there was a new thing called pay-per-click advertising. And it wasn’t Google that invented it, although AdWords would come to rule the space. I made a lot of money with pay-per-click for my real estate business back then, especially while I waited for my SEO efforts to kick in. For every $1,000 I spent, I made $10,000 in revenue. Perry, thank you so much for being on the show. Perry Marshall: Thanks for having me on the show. It’s an honor. Copyblogger’s done very well, so to be trusted with your distinguished audience is an honor. How Did You Get Into the Pay-Per-Click Space? Brian Clark: Well, you have done very well and I was learning from you before I started Copyblogger. Let’s go back on a trip down memory lane. I was just sitting here trying to remember back in the day, like 2001, 2002, when I was figuring out how to do pay-per-click for my businesses at that time, it was Overture and then they got bought by Yahoo. And then Google came out with AdWords. I think that’s when I first came across you, because Overture was pretty straightforward, but AdWords was more powerful, but also more complicated. And there you were. You were the only guy who knew how it worked or at least that was willing to share it. How did you get into the whole pay-per-click space? Perry Marshall: Let’s just say that, first of all, when we take trips down memory lane, the real purpose is to see the patterns that repeat. Because everything we’re going to talk about, it keeps happening over and over again and the thing you want to do is be hip to it. I was one of these guys who had to eat for a living, so I was hustling and it was the spring of 2002. Ken McCarthy was doing this thing called The System Seminar and he convinced me to spend a thousand bucks, which I was reluctant to part with, and go to a seminar. A guy there, John Keel, talked about pay-per-click. He talked about Overture, which was the first real pay-per-click system. It had come from something called GoTo. I discovered that Google had just started their own pay-per-click advertising service a few weeks before. John didn’t think Google was really all that good. He wasn’t too sure yet. It was really super new. And he knew Overture really well. I thought, “Well, I’ve liked Google already for a long time, even though most people don’t actually use it,” and they didn’t yet. It wasn’t the big giant search engine yet. I said, “I like Google. Those guys seem to be engineers, I’m an engineer. Let’s go try that.” Within about three days I figured out, “No, this is the coolest thing that I have ever seen in my life as far as business is concerned. I’m not telling anybody about this. This is my secret fishing hole.” I really was fascinated. You talked about Google being a little more sophisticated than Overture. Well, Overture was really simple. It was highest bidder gets number one, second highest bidder gets number two, third highest bidder number three, and that’s it. Okay, so it was really simple. Immediately people are in these little penny bidding wars — $1.03, $1.04, $1.05 for a click. Oh, somebody chickened out, and then it goes back down. That was the kind of game it was. It was really too simple. It was too easy to game the system and produce a result that you didn’t want. Google required relevance. Google adjusted your position based on your click through rates. So if your ads got a lot of clicks, you could have more and more clicks for less and less money per click. It kind of had this factor built into it, this normalization. I was just immediately fascinated and I started playing with it, and it was Wild West. We almost take pay-per-click for granted, because we have all these keyword tools and everybody kind of understands response. Look, even your average user of Facebook who is 14-years-old, knows that they’ve got to write something that gets clicked on a high percentage of the time. Otherwise, you just get buried in the noise. Everybody knows that now. So I was busy doing that. I was kind of puzzled at why more people weren’t finding this or hadn’t found this. But what was true was that most people who knew what I knew about marketing and understood things like Claude Hopkins or Dan Kennedy or whatever, most of those people were already quite occupied doing something else. Usually when there’s a new innovation, it’s the underutilized people in the world who are nevertheless smart and prepared who can rush in and seize it. And this is always true, right? To me, this isn’t just some trip down memory lane, this is how the world is. It’s one of the reasons why, even if you’re successful and busy, you need to maintain a little bit of margin so you can look around and see interesting new things that are going on. Brian Clark: Remember they called it the CB radio, the equivalent of the CB radio craze. That was so wrong, and we could see that. The general public was like, “Oh yeah, the Internet is going to go away.” No, no, no, no. Perry Marshall: That’s right. So what happened was it crashed in 2001, and then during the next two years was when the real progress got made. That was when the real serious people got more serious. That was when the companies that were going to make it actually survived. That was when GoTo and Overture and Google AdWords came into being. It was in wake of that decimation. It was the phoenix rising from the ashes. That’s what really went on. This pattern always repeats itself. Four years ago, I said, “Bitcoin is going to be a major, major thing. I don’t know how fast this is going to happen. I can tell you it’s going to be very volatile and it’s going to go through all kinds of gyrations.” I mean, I literally called it just about four years ago. One year ago, I said, “Man, it’s going to go crazy.” In the last 12 months, it’s 10x-ed. Well, all right. Perry Marshall: I’ll make a prediction here. In the long run, eventually, here’s what’s going to happen. And this is exactly what I said in December of 2013, by the way. I said some country like Namibia or something is going to melt down. They’re going to have a currency crash and the whole thing’s going to fall apart. The only way that the shopkeepers are going to be able to sell bread and pay their employees is with Bitcoin on their cell phones, so they’re going to switch. Now a whole country switches currencies, and now it’s a Bitcoin. And then the dominoes will start to fall. As soon as that happens, then the value will start to stabilize, and it’s going to go up and up and up. I still predict that will happen. Meanwhile, somewhere in the middle between now and then, it’s going to go down, it’s going to go up, it’s going to go down. I mean, it’s going to be crazy volatile. I’m guessing it’s probably going to crash. I think there’s a whole dot com crash going to happen with Cryptos. But then as you go forward, even if you have it now, it’s worth having, because it’s here to stay. Maybe if you want to get into this later, we can talk about the STAR principle and simplification and why the forces in the world and in the marketplace are going to ensure that this thing stays. But those who don’t pay attention to history are doomed to repeat it. So I really think that the smartest business people are the ones that really take a look at what used to happen and what’s the underlying fundamental principle at work that makes things happen the way that they do. That’s always been going on. What’s interesting is you could take my definitive guide to Google AdWords from 2003 and you could read it, and well, it would be missing a lot of new nuances for sure. But the basic idea is still entirely correct, the basic overall gist of the thing. They haven’t fundamentally changed it at all, which is good, which is to say they really had it right the first time. Now what has happened is several things. First off, it’s gotten vastly more competitive, like exponentially more competitive. In fact, remind me to talk about infomercials, because that’s a really interesting little tangent. There’s been a bunch of Google slaps, which is when all of a sudden, all these advertisers that are generally and slightly fringy markets or slightly questionable category suddenly get banned with no recourse. And a lot of times their business is just completely shut down. That hasn’t happened so much anymore. It can still happen. It does happen to certain people. And lots more bells and whistles. You have to optimize it to the nth degree now. You can’t just test a few ads and be done. Also, there’s never been a time in the history of marketing when it was more important than it is right now to have a killer, unique selling proposition of whatever it is you’re actually selling. Because just stringing words together is no longer enough. It’s not enough in Facebook, it’s not enough in Google. You really have to be superior on the product side. Brian Clark: A lot of people don’t realize it, but the real great people in pay-per-click, in addition to being great copywriters, they realized early on that for a lot of stuff, you’re going to get higher conversion rates on the actual product that you’re selling if you get someone on an email list and drip them along with content and then make the pitch. So that was early content marketing out of necessity. Can you talk a little bit about that? Perry Marshall: Well, yeah. Look, if you’re on Facebook or Google, you’re in a paid world. You will pay to play. That’s just all there is to it. On Facebook you might get 10% of your followers to see what you’re doing, but you’re not going to get 100. So you’re going to pay. It’s a necessity that you have to get your best customers or your best prospects into a place where you can communicate to them for free. If you can’t do that, then you’re basically hosed. 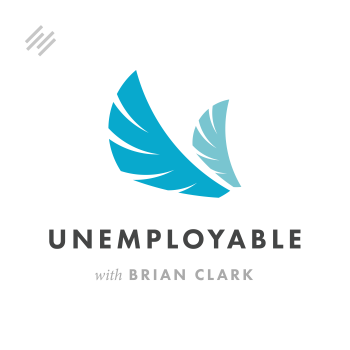 Brian Clark: I know. Those were the days. Perry Marshall: Those were the days, right? I went to see a band last year and they were giving away free CDs in exchange for you following them on Instagram — like, wow. But hey, look, if you have to give away a book or something to get an email address, it’s probably worth it. You need to do that. That is the name of the game. Email still is the Holy Grail. A lot of people, they subscribed to my emails just to watch what I do, which I think is very smart. Because the email box is the most competitive place on earth. If you can successfully compete and if you can have a little bit of happy juice squirting into people’s brains whenever they start reading your stuff, and you can reinforce that, put them into that state of mind, then you have a secure little slice of their market share. Then it’s like a business situation where you’re always a welcomed guest. You’re always welcomed to come over and all you have to do is knock on the door and they’ll let you in, as opposed to having gatekeepers, barbed wire, razor wire and fences and armed guards and cameras. Which is kind of how most people protect themselves. They don’t answer the phone, they don’t want to get your text message. People guard their space. Where Should You Begin with AdWords to Make It Worth the Investment? Brian Clark: Yeah, absolutely. Okay, so if you can get ROI out of AdWords, you don’t worry so much that Google’s going to pull the rug out from you, like with SEO. But also it sounds like you really have to put the time and effort into optimizing properly. Where would you start as someone running their own show, a freelancer, a solo entrepreneur, or maybe a coach or a consultant? They’re doing the work, but they also have to do the marketing. Where should they start to begin with Google AdWords that will be worth the investment? Perry Marshall: Well, in broad generalities, on AdWords — this is also true with Facebook — the best place to start is remarketing or retargeting. There are a bunch of reasons for this. Remarketing is targeting people that visited your website and advertising to them again. On Facebook, you can do that on the Facebook feed. On AdWords, you can do it on Search on AdWords. You can also do it for the Display Network. In Search it’s called RLSA – Remarketing Lists for Search Advertising. That means if they visit your website and they searched certain things, you can say, “Okay, I want to come up super high when people search on those things,” because a person who’s already been to your website is about three times as likely to buy from you as somebody who never did before. Now, what this actually does, this does something more subtle than simply recapture people. It also gives you a relatively affordable way to test things. So in pay-per-click, you have to test a bunch of different things and find out what works before you even have a fighting chance at all. You need to test five or six ads, which will typically double, triple or quadruple your click through rate right out the gate, and then you need to test a dozen more. Well, if you’re testing all of that on cold traffic, that’s expensive. If you’re testing that on warm or lukewarm or even just moderately warm traffic, you’re going to get probably three times the results for every dollar you spend, which is three times the data for every dollar you spend. Your chance of actually getting it to be profitable even on a small scale is a lot better at that point. There aren’t actually a lot of people that approach it this way. A lot of people just go, “Well, all right, I’m going to bite the bullet and I’m going to go out there,” and they start buying cold traffic. They find that, man, the cold traffic is actually brutal. Furthermore, if you’re buying the wrong kind of cold traffic, how are you ever going to know? All you know is they’re just not converting. At least what you know about people already visiting your website is they have some level of knowledge and familiarity or something. So you start there and then since today a big function of both display advertising and Facebook advertising is lookalike. Audiences are similar audiences. You can start to build a lookalike or similar audience based on the warm traffic, rather than based on the cold traffic, based on profiles of your existing customers. Then you kind of draw little concentric circles and you slowly wade into the cold traffic rather than just diving into ice cold water. Brian Clark: Explain that lookalike concept for people. Perry Marshall: Okay. This is one of the biggest ingenious innovations that Facebook has ever done. Facebook came up with this thing called a lookalike audience or a similar audience where if, let’s say you have a group of really good customers, you can upload that list to Facebook and say, “Get me more people like this.” And they will get you typically the 1% of the United States that’s most like those people. That is a really remarkable thing and they’re very good at it. They have so much data on human beings that they actually know based on all kinds of demographic and psychographic data, including stuff that they buy and rent from other people. They’re going to companies that gather information on credit card purchases and finance and your property and your cars and your loans, and all this stuff. And they’re saying, “Well, we’ve got this data on hundreds of millions of people. So this group of people, we do a statistical analysis on them and we figure out, ‘Oh, they have this and this and this and this in common, so we can find all these other people.’” I mean, it’s really remarkable how good it is. Also, it’s based on your browsing behavior. If you’re logged into Facebook, Facebook knows what you are doing on the Internet. There is no privacy. They know what you’re doing in your cell phone, they know what things you look and click on and like and search and all this. I don’t know exactly how much they know, but they know a lot. Okay. So they can tell that, “Oh, these people are in the market for a new dishwasher,” and they’ll let you target them. So I’m selling dishwashers, I’m targeting people that are in a market for a dishwasher and they may not have ever done anything that would actually get them to my site. But I can still advertise in front of them right now and now I can get them to my site. This is very powerful. You start out with warm remarketing traffic, and then the Holy Grail is after you’ve tested a bunch of ads and got a killer offer in place, then you can go to lookalike audiences and now, you’re targeting audiences of two million people. Facebook is saying, “Well, out of the whole United States, these are the two million people most likely to buy from you, and you can advertise to them right now.” That’s usually a big enough audience, you could actually go on for months. For the first time ever in Facebook, then you don’t have to be creating a brand new ad and a brand new thing and have to engage a bunch of existing people all over again with your new, exciting idea. I mean, you can get really a lot of fatigue from just having to come up with all these brilliant ideas all the time. It’s like being a cartoonist for a newspaper and having to come up with something brilliant every single day. So that’s a kind of a way out. Where Should a Beginner Start – Facebook or Google? Brian Clark: Yeah, that’s extremely powerful if you have an existing email list, an existing audience. If someone were really starting out from scratch trying to build a following, an email list, would you send them to Facebook first or would you get them to try with Google? Perry Marshall: I think Facebook is easier for beginners. It’s also easier to get an immediate result. But there’s kind of a yin and yang because all this stuff is like rock, paper, scissors. Facebook is easier in the short-term, but it’s more laborious in the long-term. Because on Facebook, you have to be constantly coming up with new stuff. One of the great virtues of Google is it’s a passing parade where you have to usually spend months optimizing it until it really dials into where you want it. But if you get it there, whether you’re a plumber or whether you sell jewelry or whatever, usually your ads and your campaigns will work for a long time and they work very steadily, where Facebook is episodic. And you keep having to give the thing a hit of cocaine. I would also say that Google is a more mature platform than Facebook, which means there’s not a lot of Wild West just hanging out there on Google for people to go pick up. If you’re going to go into Google AdWords, you better have a great product with a great unique selling proposition. Preferably, some really good user reviews or Google ratings or stars or review — all that kind of stuff. Any of those kind of assets that tell the world, “Oh this is not just some brand new bloke who doesn’t know what he’s doing or nobody’s ever bought this before.” You need as many of those things working in your favor as possible. Brian Clark: Yeah, I understand what you’re saying with Facebook. You’ve got to keep feeding the beast. But, from a content standpoint, instead of the old days of having a blog everyday or multiple times a day, you’ve got to start thinking in terms of top of funnel content. If you really make something great once or twice a month just for your general audience, that should also be the content that you can advertise on Facebook, having an appropriate call to action, all of that. Do you see that still working that way? Perry Marshall: Yes. In fact, I’ll give you a tip and this tip is so good. If you had paid $200 just to listen to our interview, it would be easily worth it. If you go through your email, like your Infusionsoft or your AWeber or whatever email program you use, and you export all the statistics of all the emails that you’ve sent out — “What was the open rate? What was the click through rate, and all that stuff?” You can dump it into a spreadsheet and you can sort it by, “What had the best open rate or the best…?” You can multiply different columns together for whatever criteria you want. Right there, you actually have a treasure trove of great headlines, great stories, great offers, great whatever, that you can go insert directly into Facebook. You can dust off something five years ago that’s perfect for Facebook this afternoon. If you’re like I am, if you’re in the business of creating content or where in some way, shape or form part of your business is that you’ve got to crank out some content, which is most businesses now, there are definitely some shortcuts. You don’t have to invent it out of whole cloth. You can find things that worked in the past. Perry Marshall: That’s right. A lot of times when you have tools like AdEspresso, where you can test five by five by five headlines and pictures and decks and all that stuff, you can take a great old classic thing that was a good workhorse and really turn it into a screaming machine. And look, that’s the imperative. That is what you must do. What Do Infomercials Have to Do With Marketing Today? Brian Clark: Yeah, that was a great tip. This is great advice. You intrigued me with your infomercial comment. So let’s close with that. Perry Marshall: Yeah. So back in the ‘90s and early 2000s, I listened to Dan Kennedy tell all these stories about infomercials. It goes like this. Somewhere in the 1980s, Ronald Reagan, they deregulated TV or something like that. Instead of having a limit on commercials of being maybe two minutes or one minute, they changed it to unlimited. At first, nobody really knew what to do with this. But I remember the first infomercial I ever saw, I think it was on the public-access channel or something when I was in high school. It was this really badly done video camera in back of a hotel room, men with overhead projectors selling “Get Rich in Real Estate.” And then at the end, there’s some number you can call. Well, in the mid-1980s, that’s where infomercials were, and so the airtime was really cheap. Another thing that nobody knew was there was a whole bunch of people with insomnia turning on the TV at 2:30 at night. If there’s anything besides color bars to watch on TV, they’ll watch it. All right. Who knew that they would sit there and watch a 30-minute commercial? So all of these woolly wolverine entrepreneurs went and started doing this. It’s like, “Okay, I’m going to spend 600 bucks and I’m going to air this spot in Lancaster, Pennsylvania at 1:00 in the morning.” And lo and behold, they’re making money. What happens to the infomercial business? Well, slowly, the world starts to discover it and the prices go up and eventually, by the time I was hearing these stories, just to test an infomercial cost a minimum of $75,000, because you’re going to spend like 20 or $30,000 shooting a show with cameras and crews and stuff, and then you’re going to spend another $30,000 just running on a few stations and seeing if it even works. Now you had to be a big boy just to even play. The point of all this education I was getting was, first of all, when you find something that works, you have to keep improving and improving it. Because otherwise, somebody’s going to discover your little honey hole or your fishing hole and take it away. Also, when media is new, it’s cheap. As it gets proven, the prices go up. So you must be prepared for the evolution in the marketplace, otherwise all these big companies are going to come in and beat you up and steal your lunch money. So I learned that. When AdWords was new and then all of a sudden, I’m teaching AdWords because I got pulled into doing that, I was like, “Oh, this is micro-fractal infomercials is what this is.” Okay, we’re not talking $75,000. Maybe at the very beginning, we’re talking $75, then it’s $750, and then it’s $7,500. There are lots of markets in AdWords where if you’re not prepared to spend $7,500 just to get your learning up to speed, don’t even bother. Depending on the size of the market, it really is infomercials all over again. It’s just scaled at different levels of investment. All markets are now like this. Now that Facebook and Google, everything has tools that are accessible to anybody, then all of the markets are full of competition, and you really need to know what you’re doing. You don’t just open a Google account and do whatever they tell you to do or read the instructions. I mean, you’ll get screwed. You have to spend some money, get some real education, learn how to do it correctly from people who really know what they’re doing, and be very careful with your money. Brian Clark: I think there’s another lesson there, which is you often get people going, “If only I would have been in on X back at the beginning,” and instead, they need to be going, “There’s another boat coming.” You may have missed those, but look forward. I think your Bitcoin example was a good illustration of that. Like you said, smart business people are watching trends, anticipating what’s happening next and then you get on board. But there’s still money to be made with the established marketplaces, I think is your point. You’ve just got to be smart about it. Perry Marshall: Well, you’ve got to be smart about it and what you need to do is you need to wedge yourself into a micro-niche. A little crack in the sidewalk with the USP that applies to that particular little tiny piece of turf. You want to be a big fish in a little pond. Do something really innovative on a really small scale in a little pond, and then move up from there. And then you’ll be prepared. Before I was doing Google AdWords or anything like that, I was using direct mail and faxes and press releases. I mean, if I hadn’t used what I could get my hands on at the time, I wouldn’t have known how to do it, because I wouldn’t have had any practice. I had lots of practice. I’m mailing out sales letters by US Postal mail and measuring the response. The difference with AdWords is just about a thousand times faster. That’s the difference, but it was the same thing. Brian Clark: Absolutely. Perry, thank you so much for your time. This has been great. I’ve got to write down some notes myself. I didn’t want to have scribbling on the audio, but really great stuff and I appreciate you being here. Perry Marshall: Well, thank you. I’d like to invite people to go to Perrymarshall.com/8020. You can get my book 80/20 Sales and Marketing for $7 including shipping in the United States. If you’re looking at Google AdWords, you should score yourself. Go to isawforme.com. It’ll give you a point scale on the Display network and the Search network of how tough of a fight you’re in for. You can go to isfbforme.com, which stands for, “Is Facebook for Me?” And you can score yourself on Facebook. Don’t take a knife to a gunfight. That’s my advice. Brian Clark: Absolutely. I own Perry’s book 80/20. $7 is a bargain. So please pick that up. Like Perry says, you’ve got to get into it educated, learn to optimize, figure out how to get ROI. But also I think you need to keep looking for and watching the trends. See what’s next, and maybe you can get in early on something. Above all, thanks for listening and keep going.